There is a ray of hope as countries strive to achieve the historic agenda 2030 on sustainable development, one of the most successful agreements ever made in the history of mankind. More than ever before, duty bearers are finally coming to terms that to achieve this groundbreaking agenda, they cannot continue to work in silos. Therefore, there is need for a multi-stakeholder cross-cutting partnership if this ambition is to become realistic, achievable and possible. 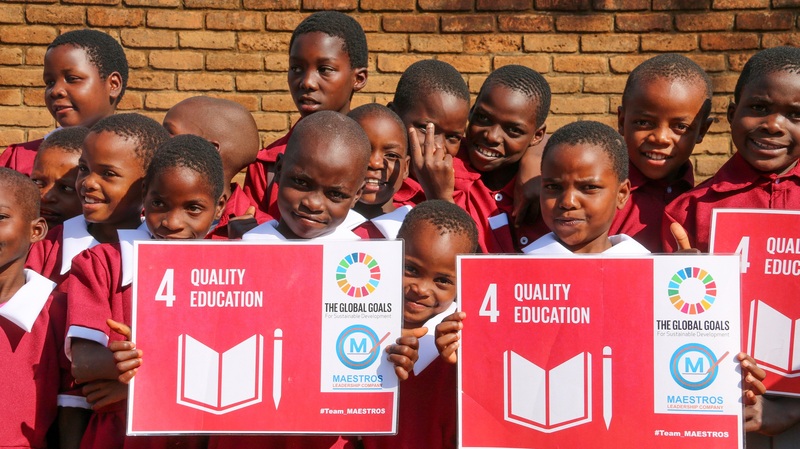 Right at the centre of the 17 ambitious goals is Quality Education, the foundation to which all other goals, targets and indicators can be achieved. Education is not just a human right as proclaimed in the Universal Declaration of Human Rights about 70 years ago, it is the foundation to build peace and drive sustainable development. The value of education is increasingly becoming relevant in people’s lives as a tool for empowerment and social transformation. Therefore, the achievement of all 17 SDGs would be impossible without reference to education as a public good. Charged with the responsibility to coordinate the action plan on SDG4 is the SDG-Education 2030 Steering Committee, the main global multi-stakeholder mechanism for consultation and coordination for SDG4 that has been mandated to play a key role in the global review of progress on education in the 2030 Agenda for Sustainable Development. The Steering Committee provides strategic guidance to Member States and the education community, makes recommendations for catalytic action and monitors progress towards education targets. It is composed of key education stakeholders including Member States, the World Education Forum 2015 convening agencies (UNESCO, UNDP, UNFPA, UNICEF, UNHCR, UN Women, the World Bank and ILO), the Global Partnership for Education, the OECD, regional organizations, teachers’ organizations, civil society networks, in addition to representatives from the private sector, foundations, academia, youth and students’ organizations. The Steering Committee recognizes that it is vital to engage young people not only as beneficiaries but as implementing partners of the Sustainable Development Goals. Within the Steering Committee, youth and students’ organisations have a space to shape the future of education through advocacy and in decision making processes. According to Jose Mateo Ramos Dela Cruz, a Global Partnership for Education youth leader, “Our generation serves as the largest and still growing age-specific sector that can determine the success and failure of nations, as most countries are now seeing their youth bulge as their countries’ demographic dividend. With little focus and investment on education, neglectful countries might be preparing to fail as an unskilled and ill-equipped generation is brewing, pursuing greater societal divides and non-achievement of the Sustainable Development Goals – the new development agenda agreed upon by all nations. “Focus on the issues of delivering culturally-sensitive, gender-responsive and intersectional education, providing education in protracted crisis, and standardizing quality education governance and financing are the key priorities that governments and development partners to ensure that quality education for all will be available to all youth, especially young women and girls as envisioned in the SDGs. Achieving this priorities is to prepare our young citizens of the world towards an era of informed choice, from nutrition, to being aware of people’s sexual reproductive health and rights, to well-thought electoral participation, to rejecting violent extremism and the like. Steven Li, co-founder of ProjectileX and member of the Global Business Coalition for Education, also reinforced Jose’s statement, adding that when it comes to education, the youth should have more of a say. The current education system, particularly at the K-12 level appears to be rigid, and this often holds students back in pursuing and furthering their interests in school. An inclusive youth space would allow students to voice their concerns and interests and have administrators actually implement changes that would benefit students. This could start with project-based learning. Students may have certain ideas as to what kinds of projects they would like to pursue but naturally would need the support of educators and their peers. If schools and educators can take a more proactive approach in setting up platforms for students to work on “passion projects,” they can open many more doors for students to do beyond the typical. This might look like a collaboration between schools and incubators or funders; regardless, an inclusive youth space should allow youth to make the choices that impact their future careers. In the words of Elizabeth Adeyemo, youth advocate of OneAfricanChild Foundation for Creative learning, she urged leaders to be transparent in their dealings and accountable to their followers and recipients. This would strengthen relationships and confidence amongst all stakeholders involved in the agenda 2030 and ensure that agreed legislations are well implemented and effectively executed. She urged members of the Steering Committee to view situations and circumstances from the youth perspective rather than impost solutions based on assumptions. Going forward, we encourage the SDG-Education 2030 Steering Committee to create mechanisms to expand youth representation in the regional level so that more issues and concerns on youth in education and related matters can be brought into the table of the steering committee, help in the data gathering and policy recommendation crafting of the current youth representative, and create a bridge between the representation and the constituency of the youth.